Early this morning, armed policemen sealed off Ekiti Government House and prevented supporters of Governor Ayodele Fayose from entering. 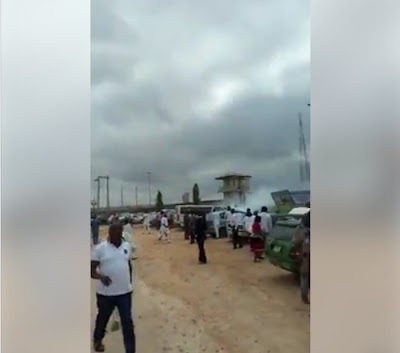 A rally scheduled to take place at the new Pavilion located at Fajuyi, which was within the vicinity of the Government House was botched as policemen teargassed the participants. 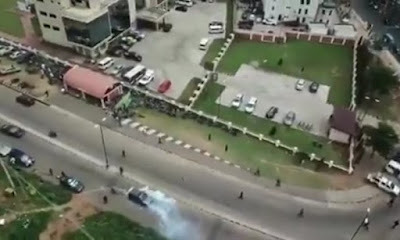 The PDP members had massed at the new pavilion when policemen swooped on them and dispersed the gathering. 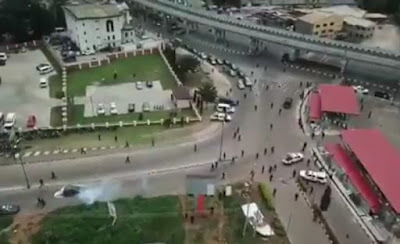 Those affected fled in different directions to prevent being arrested by police.